As the sequel to the 2003 hit and firm fan favourite Finding Nemo, this movie really had a lot to live up to. Here are my thoughts on the movie; I'll let you be the judge as to whether or not you feel this movie was a strong enough follow-up to the original. Enjoy and as ever, please feel free to share your views in the comments section below. After the negative reception received by the last collaborative Disney/Pixar movie The Good Dinosaur, the studios really needed another BIG hit this summer. Naturally, a sequel to an already successful, well loved movie with memorable characters and a narrative that tugs at the heartstrings was a pretty safe bet for them, right? Behold, Finding Dory. We're back, one year after the events of Finding Nemo with Marlin, Nemo, Dory and the gang on a quest to find Dory's forgotten parents. As I'm sure you can sense, the story is essentially very similar to that of it's thirteen year old predecessor but with new characters, locations and some very important messaging. My favourite of the new characters? Definitely Destiny and Bailey! 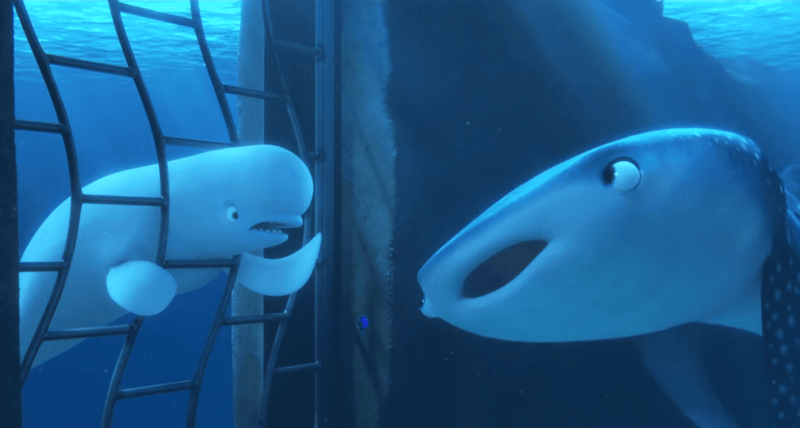 These two whales very much fill the absence of "The Tank Gang" from the previous movie by helping Dory to navigate her way around, on route to finding her parents. Sadly, Destiny and Bailey are both residents of the California Marine Life Institute and consequently, both have varying degrees of injury as a result of their entrapment. Yep, you guessed it; Disney are going after those responsible for the captivity of whales. How very "Blackfish" of them. Dory with new character Hank avoiding Children's dirty hands! 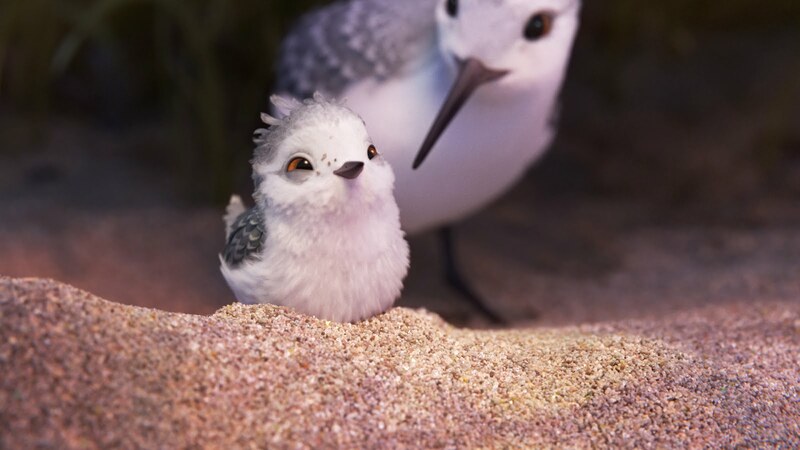 Oh and as a side note, we have got to talk about the Pixar short debuted before the movie: Piper. I am a huge fan of the Pixar shorts. I even signed up to Disney Life just to gain access to them! 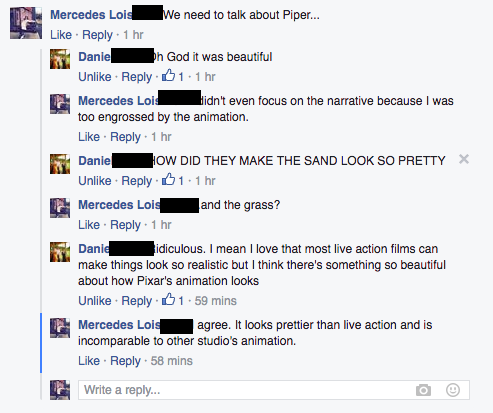 I said this after watching Pixar's short film The Blue Umbrella and I'll say it again; after watching Piper, I thought to myself, animation is now doing things that I had never dreamed possible. This is the future. Honestly, the level of detail in this short is incomparable to any computer animation that I ever seen in my life. The level of detail, just even in the backgrounds, was insane. It was quite simply, life like. I cannot sum it up any plainer than that. This animation looks REAL. 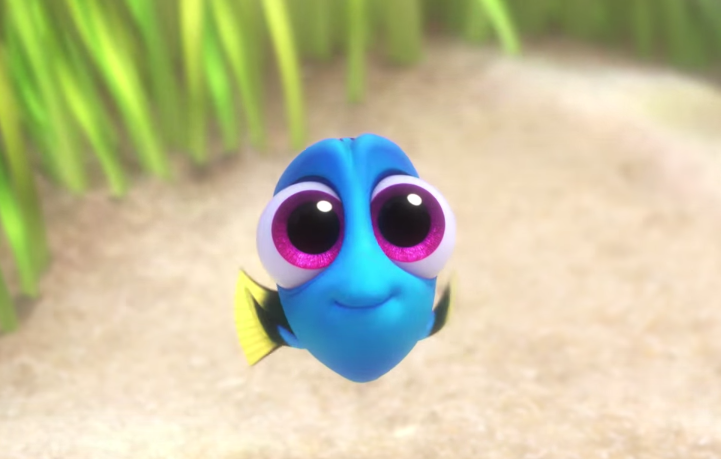 If you're really into animation, I'd say a trip to Finding Dory is worth it just for Piper! 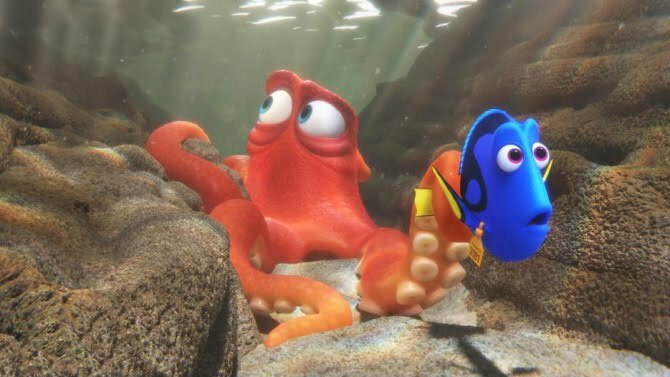 In short, I thoroughly enjoyed the experience of Finding Dory. If you're a huge fan of the original, definitely get your cinema tickets but if not, this is definitely a 'I'll wait for the DVD to come out,' kind of movie. You will not be missing out if you wait. As ever, please let me know your thoughts in the comments below. Maybe you disagree with me? I would love to hear from you.